Experiment with the interference of light and its relative motion to determine the existence of the luminiferous aether, which produced a negative result and went on to be the base for the theory of Relativity. I would like to remark that I do not argue or deny the validity of this grand experiment in its technical aspects. Its premises and physical interpretations are another matter, however. On this page, there is the description of the physical experiment as a whole; i.e., premises, suppositions, and conclusions. On the one hand, I discuss suppositions of rest and relative movement concerning a luminiferous aether. On the other, I mention the orthodox interpretation of one of the core experiments in Modern Physics, as well as the alternative offered by Global Physics. This experiment is crucial –together with the predictions of General Relativity–, as it is the main support of Einstein’s Theory of Relativity. The 1887 Michelson-Morley experiment attempted to confirm the classical model of luminiferous aether. Light needed aluminiferous aether to travel. The luminiferous aether had to be at absolute rest. The speed of light is independent of its source. The speed of light is constant in vacuum. Michelson and Morley devised an instrument capable of detecting the speed of the Earth regarding luminiferous aether at rest and, in this way, of obtaining a reference frame in absolute stillness. The following figures show the hypothetical journey of light in their physical experiment. The idea consists of comparing the two possible situations of relative motion of the interferometer concerning the supposed luminiferous aether. Given that distances “a” and “b” between the semitransparent, and the regular mirrors –above horizontal and right vertical– are equal, the light will reach these mirrors simultaneously (instant t2), and it will return in both cases towards the semitransparent mirror. On the lower plate, there will appear the interferences between the two beams of light. The meaningful part of this physics experiment would not be the interference pattern, but the fact that this pattern would not change when the whole apparatus of the interferometer turns, given that distances traveled are equal, and speed of light seems constant and independent of its source. The intention was to measure differences in the time taken by light to travel equal spaces between various mirrors. Given that some mirrors line up Earth direction and others are perpendicular; time should change due to Earth’s velocity. The second figure shows light path when the mirrors are solidary with the Earth, and they move in relative motion concerning the supposed luminiferous aether. In this figure, there is an exaggeration of the velocity of the mirrors regarding the speed of light, to be able to visualize variations in distances produced by movements of the mirrors. However, the reasoning remains the same. Not to make the explanation too long and cumbersome, let us see the following case. Instant t1 will be as in the first figure, but instant t2 will be after its corresponding moment in the first figure because distance “b” will have increased the amount “c” with the shift of the non-transparent mirror –vertical mirror– in the direction of the Earth. This distance “c” is due to the time that the light takes to cover the distance “b” plus the time it takes reaching the vertical mirror. Likewise, distance to the upper mirror will increase, but this distance will be the geometric mean of “a” and “c” according to Pythagoras theorem. In other words, increase in the distance will depend on the angle of the initial direction of the speed of light and the new direction towards the upper mirror. As we can see, the two distances traveled by light beams will no longer be equal, which will also happen on the way back to the semitransparent mirror. Therefore, there will appear variations in the interferences produced between the two light beams. Consequently, successive changes in the angle of disposition of the interferometer concerning the direction of the Earth should reflect the associated variations in interference fringes in the plate. Calculation of distances and their variations with the angle of motion and the interferences produced does not cause a problem. Moreover, it should have given the relative speed of light regarding luminiferous aether. However, this empirical experiment gave no variation on the interference fringes in the final plate with changes in the angle of the interferometer. In other words, the light behaves identically in both cases. Let us see two slightly different interpretations of this experiment, though both accept the experimental results entirely. Now, the experiment design considered the instrument in relative motion concerning luminiferous aether, as it would be on Earth, which has a speed of approximately 30 km/s in its orbit around the Sun. The result of this scientific experiment was utterly unexpected. Interference fringes did not vary at all when turning the interferometer. It was the predicted result in first scenario analyzed, where the Earth was supposed to be at rest with respect to luminiferous aether. Instead of resolving the problem of the speed of light, it heightened it. Consequently, the ephemeral luminiferous aether was lost indefinitely, as it was the primary goal of Michelson-Morley experiment and technical goodness of the experiment was clear. The search for an explanation of the weird behavior of light was starting. Desperate times call for desperate measures: The Theory of Relativity. Although Einstein said, he did not know the experiment! Who knows? It could have been a joke! The interpretation of Modern Physics in general –and of the Theory of Relativity in particular– is erroneous, because it contains an implicit generalization, as it assumes the correction of the theoretical premises of the initial research. If these premises were partially incorrect, deductions based on them would also be a flaw. In other words, the fact that a fixed or absolute luminiferous aether does not exist does not prove that light does not have a mobile and non-homogenous supporting medium. A mobile supporting medium would only be coherent if it were moving with the Earth, i.e., the interferometer was at rest concerning the mobile support –equivalently to predictions of the above supposition 1–, which sounds rather like the Ptolemaic reference system, though they are different subjects. Consequently, they improperly generalized the independence from its source of the speed of light. I imagine it was arbitrarily not accepted or not thought of a luminiferous aether moving with the Earth. The proposal of Global Physics is a reticular structure of matter, elastic and unbreakable, which supports the gravitational field, and this, in turn, is the supporting medium of electromagnetic energy. An interesting subject practically unknown by the public and little treated by the doctrine but generally accepted is the Lense-Thirring effect. This effect consists of dragging the energy-mass by a rotating field of gravity; within General Relativity, it alters space-time, but with a classical perspective, it could justify the results of the Michelson-Morley experiment. Despite common aspects, there is a big difference between the drag of the mass and the energy, the mass is dragged partially by the global or kinetic aether –quadratic ratio v² / c²– while the electromagnetic energy by the luminiferous aether. I would like to remark that the idea of a non-classical aether is not exclusive to Global Physics, as the well-known String Theory also proposes something like aether of small vibrating strings. Similarly, Quantum Mechanics uses the term quantum foam or quantum vacuum to emphasize that the classical vacuum is not empty. Of course, any term will do except the word aether. Even the famous fabric of space-time will be aether if it has any mechanical properties. Global Physics describes two types of supporting medium. Maxwell equations themselves include a dielectric constant of the vacuum. Therefore, there must be something provoking the physical existence of this dielectric constant. Another matter is that one may or may not want to understand the physical meaning behind the constant in the materials of vacuum and not merely the mathematical one; and if it is unknown, at least one should admit its existence. In this topic, a parallelism with Darwin’s Theory appears. If you say something different to the prevailing orthodoxy, everyone thinks of religion, as if there were only two colors in the universe, white and black. Of course, we all know that black is the absence of light. 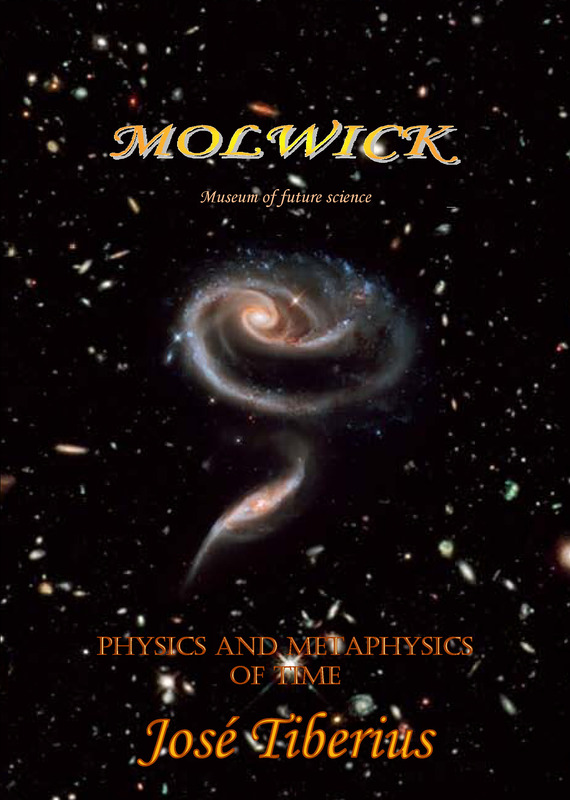 Given that the Michelson-Morley interferometer is one of the most relevant experiments due to its implications in the arrival of Einstein’s Theory of Relativity, two more pages will be devoted to it in the book Scientific Experiments in Global Physics. 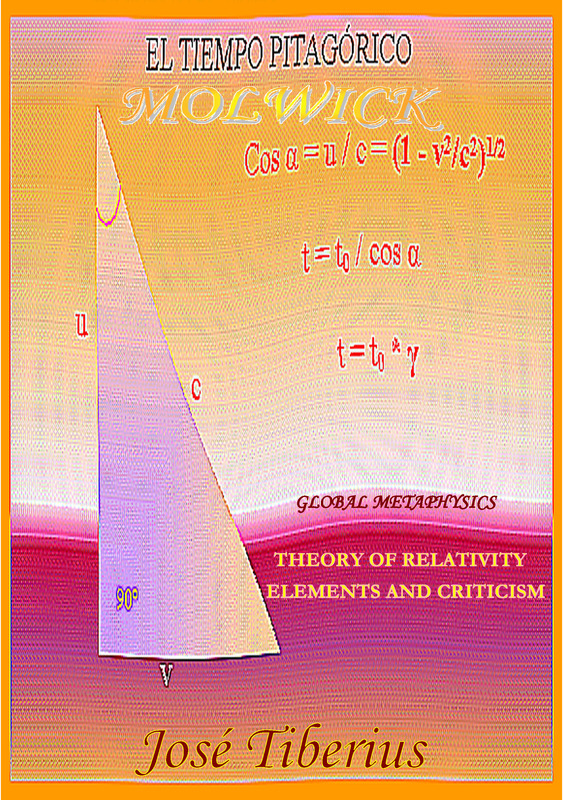 In section Physics and experiments with gravity, Global Physics proposes to do the same interferometry experiment in space, far away from Earth’s orbit, to confirm one interpretation or another. ESA’s LISA project (Laser Interferometer Space Antenna) –before it was a NASA project– would carry out an experiment in space identical to the Far Michelson-Morley, though with the objective of proving General Relativity once more. It is funny, because I believe the result will be even more unexpected than the one obtained at the beginning of the 20th century, and will entail the disappearance of the Theory of Relativity. What’s more, perhaps Physics will suffer the same fate as Alchemy, so many and such big errors with the philosophical vacuum that it ended up changing its name. It could be an aspect of experimental science similar to the long-term cycles of the economy.